AWENDAW, S.C. (WCIV) – Johnathan is a normal kid. He likes fishing and playing sports. It was at the age of 13, one year ago, that he first got to hear the sounds of all his favorite things. “You can hear the whole world outside,” he said. 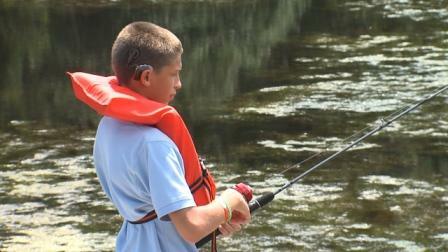 MUSC Children’s Hospital gave Johnathan the gift of hearing, with cochlear implants. It’s not only changed his life but his 10-year-old brother, Sam’s, too. “I just wanted my brother to hear, and be normal,” he said. As one of MUSC’S patients, Johnathan was selected to go to Capitol Hill to share his story with Congress. He will join a group of children’s hospital patients from all over the country. “Johnathan is such a great example of our young patients that MUSC Children’s Hospital has helped by getting him the cochlear implants that he’s asked for,” Pat Votava, director of grants and government relations said. Johnathan will get the chance to tell legislators how the implants have helped him improve in school. He said it’s even inspired him to help others when he gets older. “I want to teach them how to talk and how to read,” he said. Votava says the focus of the trip is let Congress know how critical children’s healthcare and issues are in this country, and why funding is so key. The National Children’s Hospital Association Family Advocacy Day will be held July 23-25. This is the eighth year for the trip. Johnathan will be the first foster care patient going. He lives with brother at Windwood family services in Awendaw.